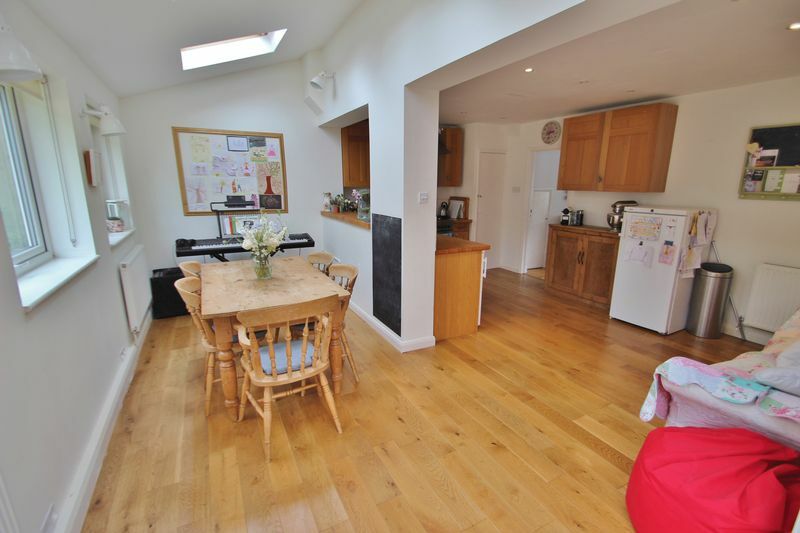 3 Stone Cross Road is a surprisingly spacious and light family house. 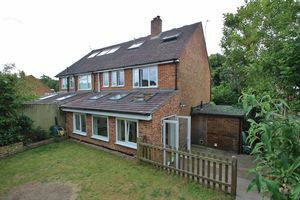 Built in the 1950s with later extensions and modifications carried out by the current owners, with the biggest alteration being made to the rear of the property, forming a wonderful open plan hub of the home, with a kitchen area, dining area and sofa area, with windows and doors direct to the private rear garden. There is gas central heating and double glazing throughout, and the property is well-presented throughout. 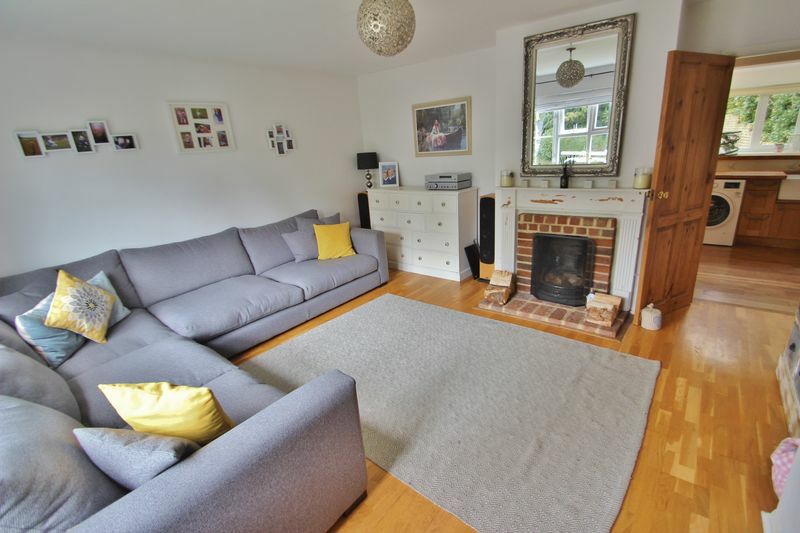 One enters through the front door to a hallway, with staircase to the first floor, and door to the sitting room, with a large window to front, fireplace with wooden surround, wooden flooring, door to under stairs cupboard, and door to the open plan kitchen/dining/family room. 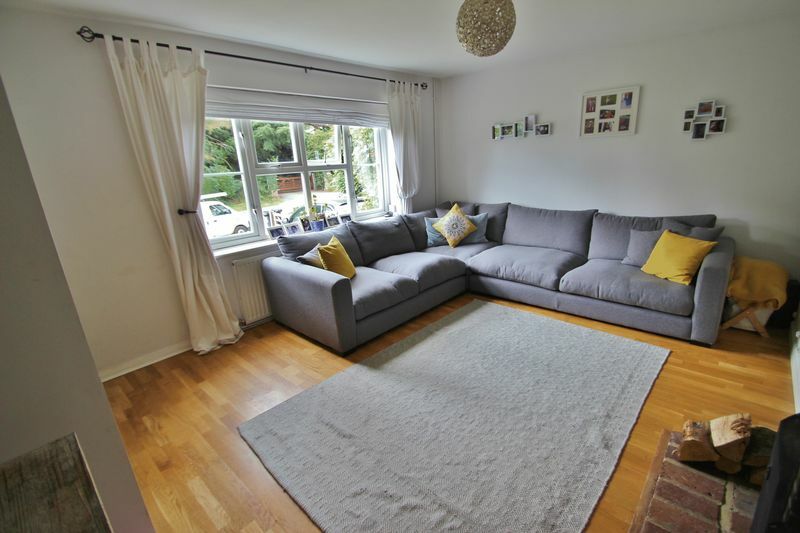 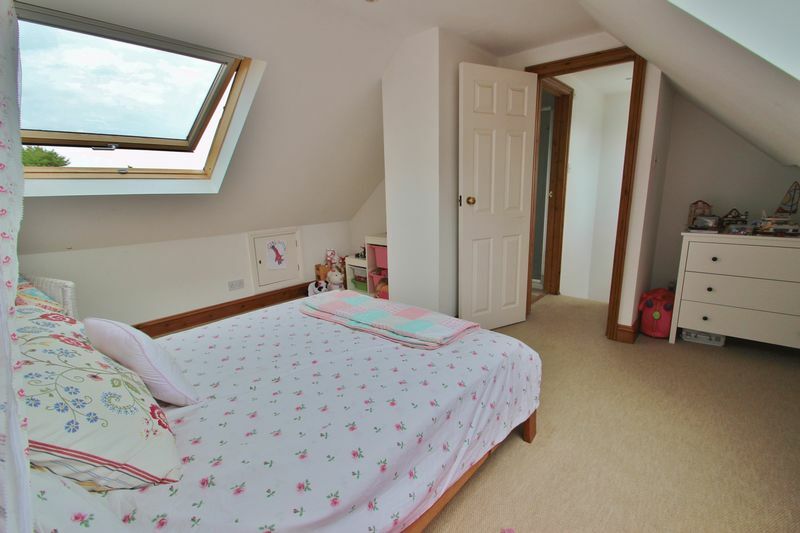 This room is a lovely bright room, with wooden flooring throughout, roof-lights, windows and French doors to the rear garden. 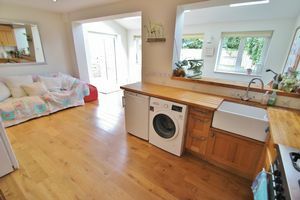 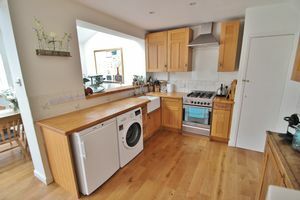 The kitchen area comprises a range of oak cupboards and drawers with oak worktops, inset butler sink and etched drainer, space for appliances, such as a wide cooker, extractor above and under counter appliances plus free standing fridge/freezer. 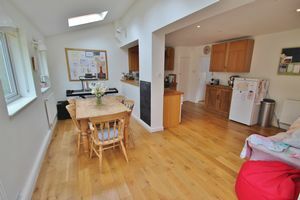 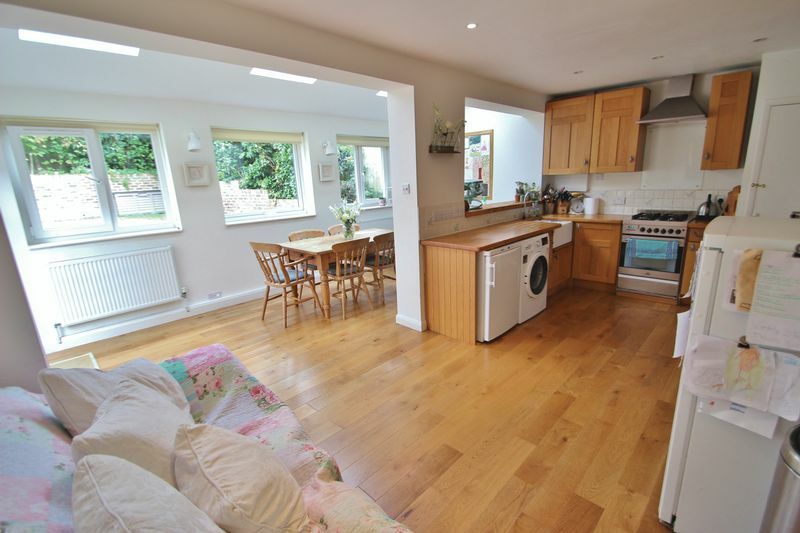 There is a raised oak worktop and opening to the dining area, and to the side is the sofa area. 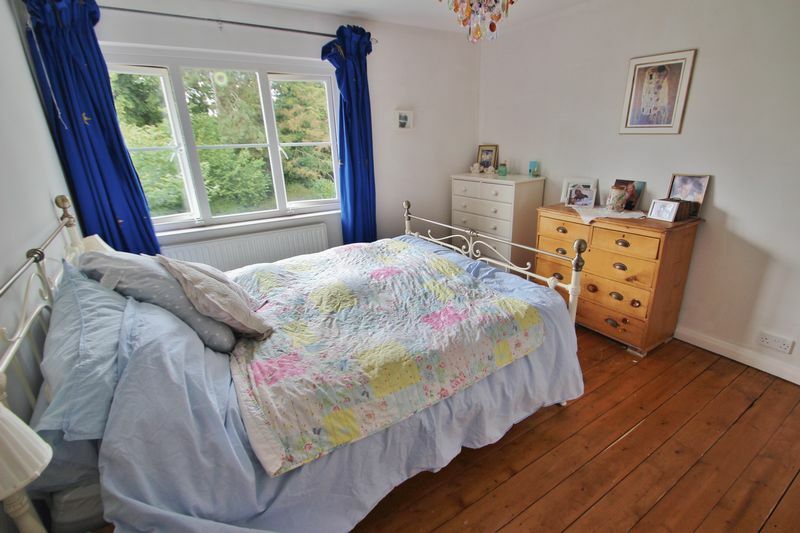 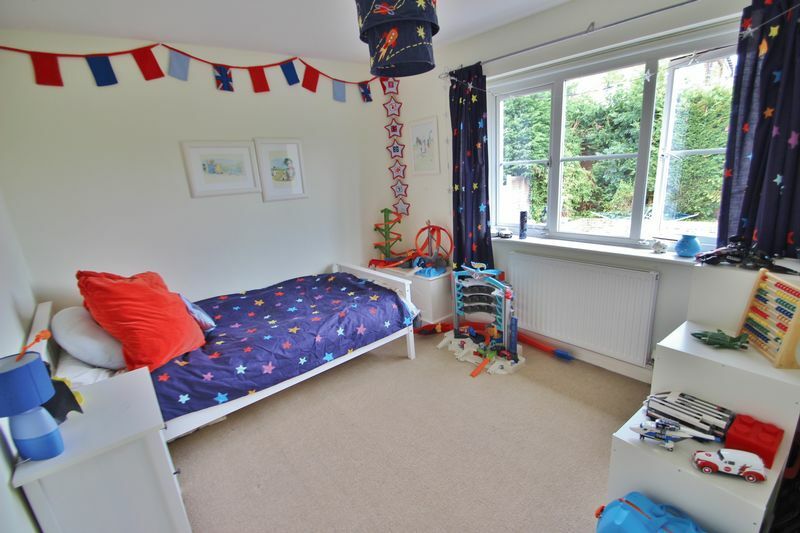 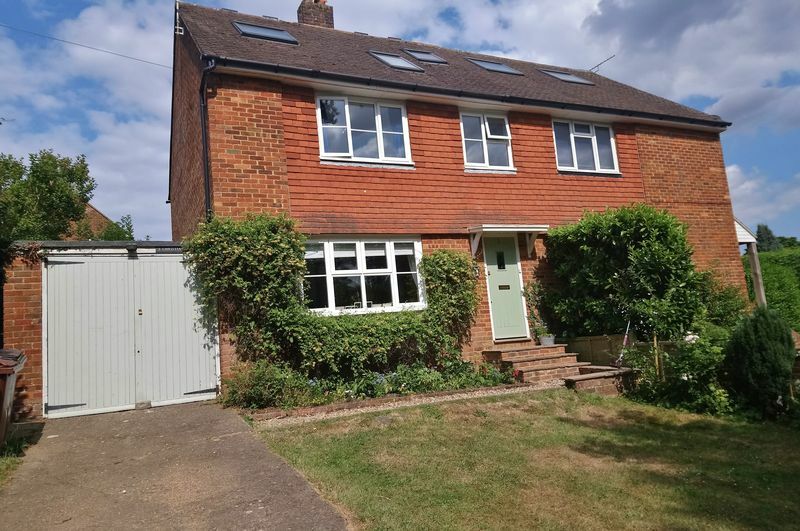 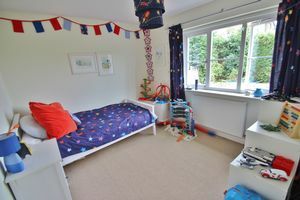 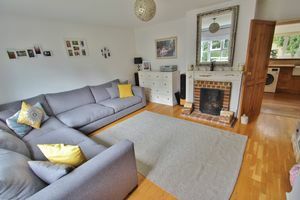 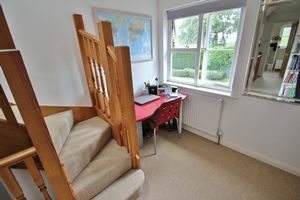 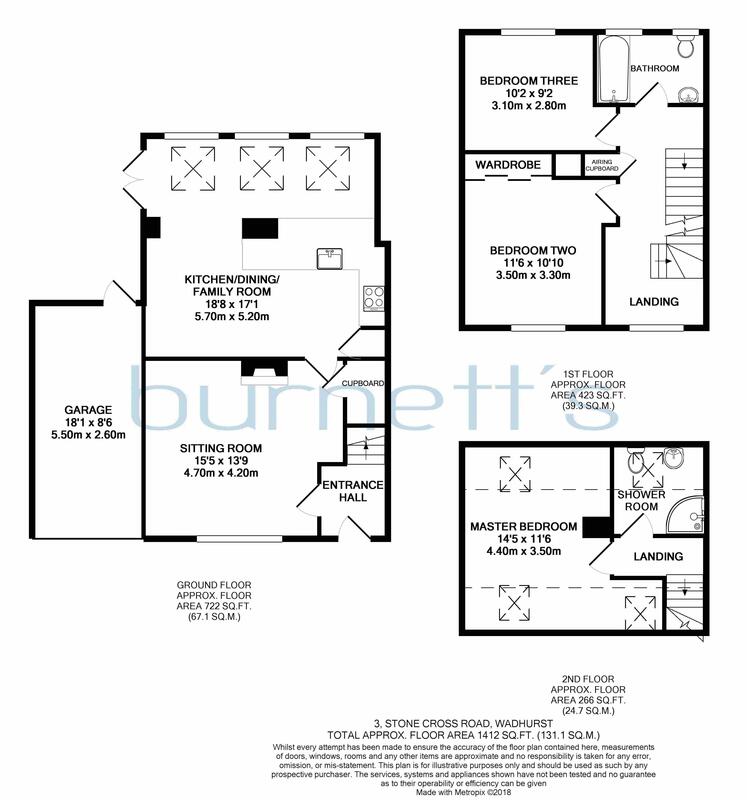 The first floor comprises a good sized landing, with window to front and a study area with a desk, stairs to the top floor and door to the airing cupboard. The front bedroom has fitted wardrobes and window to front, the rear bedroom has windows overlooking the rear garden. 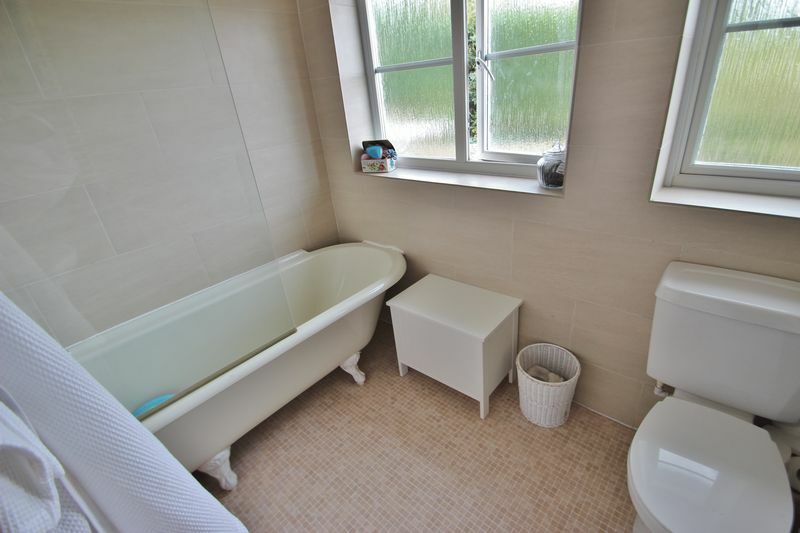 The bathroom on this floor is attractive and modern, with two windows to rear, bath with shower over and screen, basin and WC, tiled floor and walls. 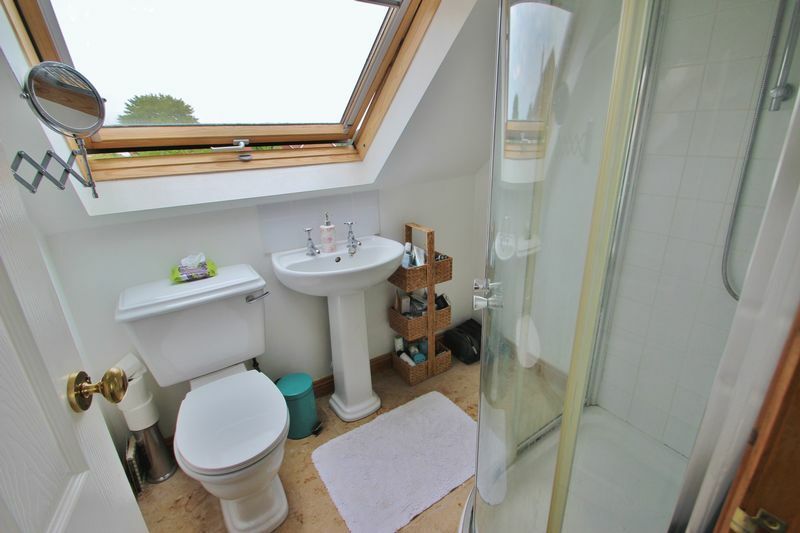 The top floor comprises a master bedroom and de-facto an en-suite shower room, with velux style windows to front and rear within the bedroom, with the rear window offering views to Bewl Reservoir. 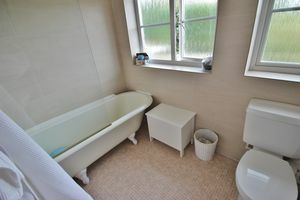 The shower room is attractive and door from the landing, velux window to rear, tiled floor, shower cubicle, WC and basin. 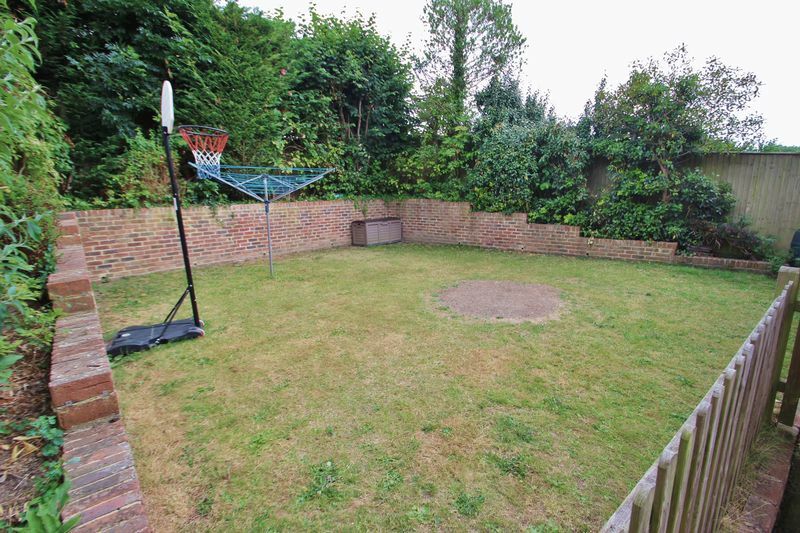 Outside, the house is approached via a five bar gate with off road parking and drive to the attached single garage. 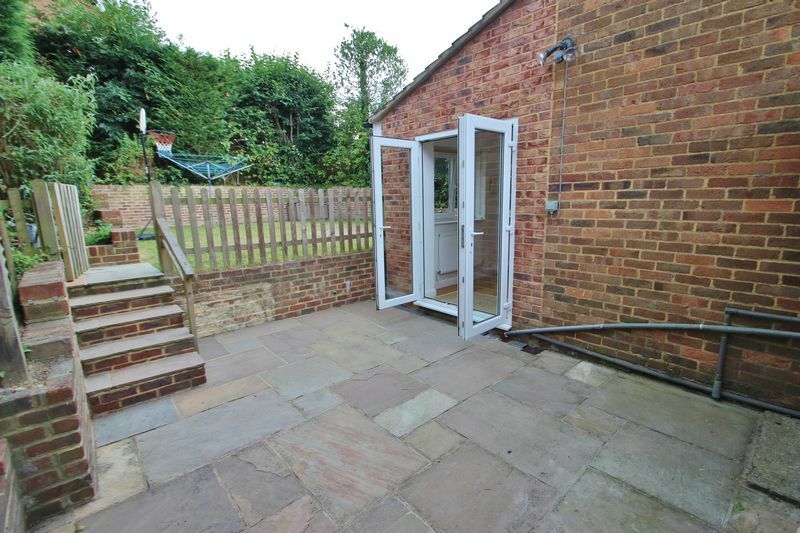 The garage is an original garage, with double opening doors to front and rear pedestrian door. 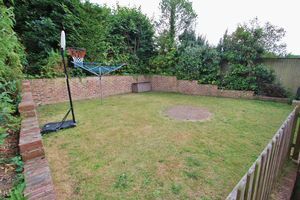 There is a fenced front garden with area of lawn and flower bed borders. 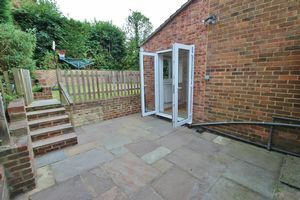 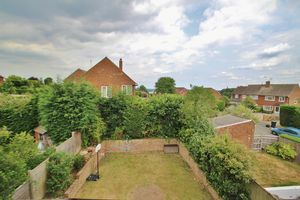 The rear garden enjoys a good sized paved patio and steps up to a levelled area of lawn, brick retaining walls to sides with flower beds, hedges and fences beyond.